Before I start sharing today’s Brightly Lit Christmas card, I’d like to take this opportunity to wish my readers in the U.S. a very Happy Thanksgiving! 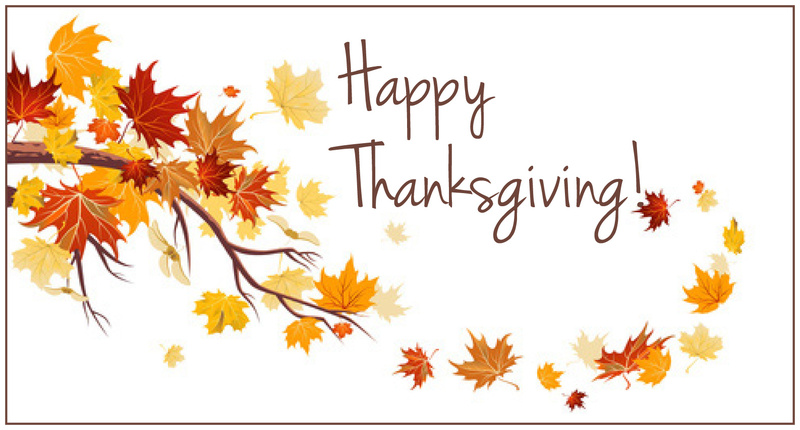 I hope that you enjoy time with friends and family, and have a safe and happy holiday. This is one of those sets in the Holiday catalogue that I knew, right away, that I just HAD to have! Of course, you can purchase the Brightly Lit Christmas Bundle, which includes the stamp set and the Christmas Lamppost Thinlits, and SAVE 10%! 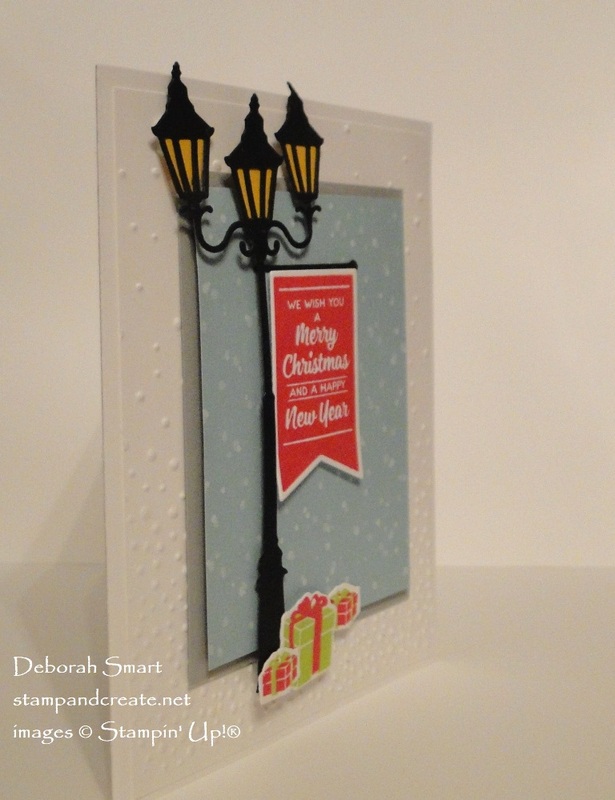 The lamppost with the banners evokes a ‘Victorian’ Christmas vibe with me, and that’s what I tried to accomplish with this card. This is one of the cards from my annual Christmas Stamp-a-Stack, so I wanted to keep it fairly easy to do. I think I accomplished that – by doing all of the die cutting for everyone, ahead of time! Still, assembling the lamp post parts does get a bit ‘finicky’! I started with a card base of Thick Whisper White cardstock, as I knew I’d be adding lots of layers to the front. The Thick cardstock can really handle the layers, without buckling or being too bulky. Next, I added a panel of regular Whisper White, that I had embossed with the Big Shot and Softly Falling Embossing Folder. This is attached with the Multipurpose Liquid Glue. The next layer is a panel of Smoky Slate cardstock, added with the liquid glue. On top of that is a panel of Christmas Around the World Designer Series Paper; the pattern reminded me of snow falling! It’s attached with Stampin’ Dimensionals. Stamp the banner and presents onto white cardstock, in Real Red and Lemon Lime Twist ink. Die cut all of the lamp post pieces from Basic Black cardstock, and the ‘light’ pieces from Crushed Curry cardstock. All of the pieces are die cut with the Big Shot and the Christmas Lamppost Thinlits. The trickiest part to this card is assembling the lamp post! It’s only tricky because some of the parts are small, but is accomplished using both the liquid glue and Mini Glue Dots. 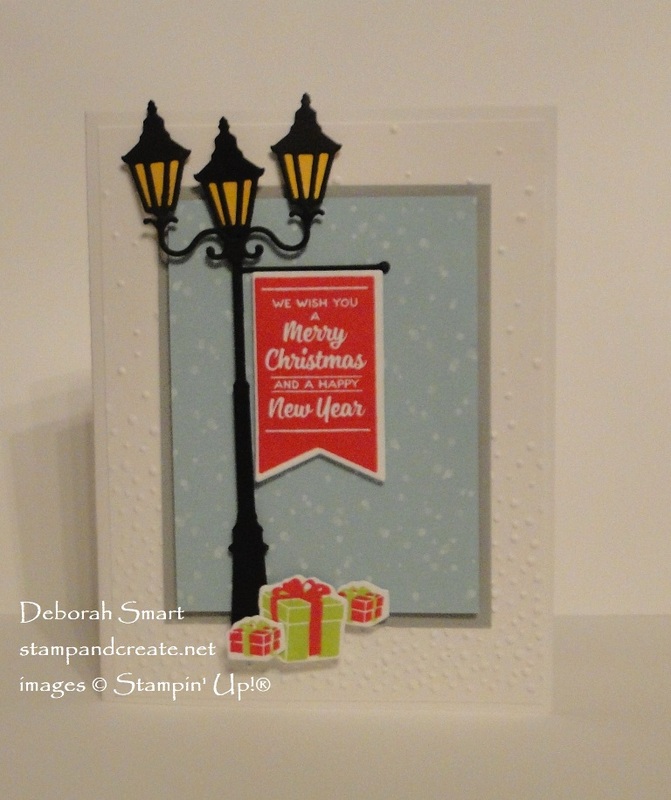 Once your lamp post is assembled, attach it to the card front with Stampin’ Dimensionals. Then place the presents at the bottom, in front of the lamp post. I just LOVE all of the layers and dimension on this card! With the embossing and die cuts, it just brings the scene to life! I forgot to take a picture of the inside, but I used one of the other sentiments ‘May Your Christmas Be Bright’ and stamped it in Lemon Lime Twist. Place your order online with Host Code FXDASWQU to qualify for the free shipping. I’ll refund you the total shipping amount once your order has shipped to you. Click on either the product images below, or my signature, to go to my online store. I appreciate your business, and this FREE SHIPPING special is just one of my ways to say ‘Thank You’! Next Next post: BLACK FRIDAY WEEKEND AND FREE SHIPPING! It must have taken you forever to do all the die cutting for them. Lovely card!